Kitty And Human Visit A Sand Dune, But Watch The Cat’s Reaction… SOO Cute, OMG!! He’s loving every minute of this little sand dune adventure and his human goes right along with it playing with his best friend kitty just for fun, it’s such a cute and funny moment! 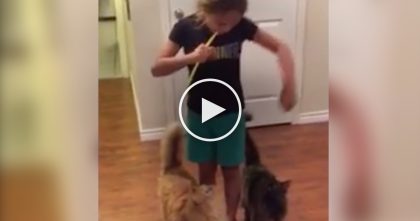 She Takes Two Straws And Blows Air, But Then Watch The Cats’ Reaction To It… Oh My, LOL!! 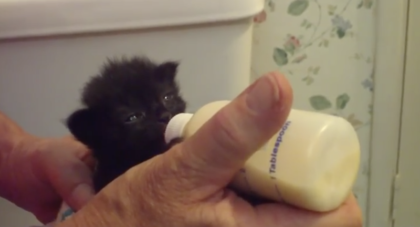 When You See All The Kittens In This House…It’s Just TOO Cute, Watch! !